Just For Kids - NEW! The Arrogant King knew he was great, and he made sure everyone else knew it as well. His subjects were not allowed to speak to him or touch him - they were not even allowed to enter his home. Will his attitude cause him to lose what he values the most? There is a valuable lesson in this beautiful retelling of a traditional Yoruba story. 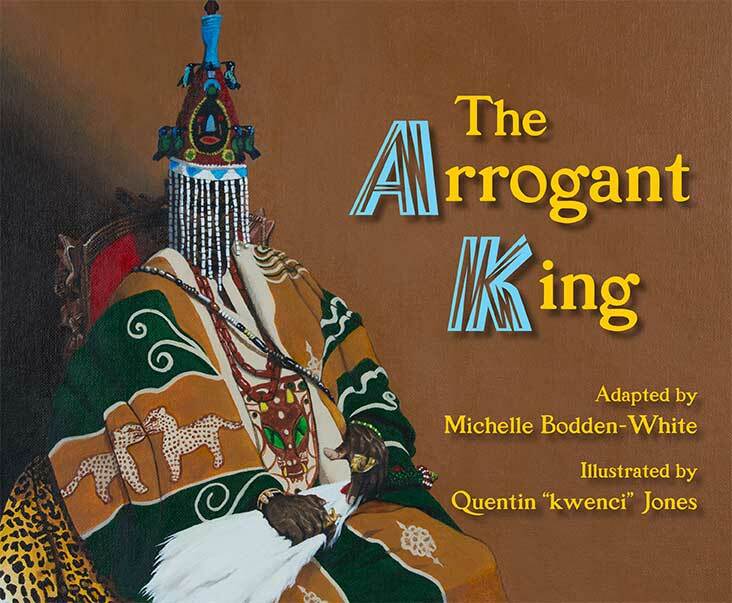 Every child's library should include The Arrogant King! A smart, graceful, proud being. She learns and shows her intelligence; she speaks and shows her character. She moves through the world with fluid power, and all are changed in her wake. To awaken the Water Daughter is to awaken the joy and power within our culture. Water Daughter Publishing is dedicated to presenting materials that uplift the richness of African Diaspora culture. Through books and other media we seek to share information, encourage curiosity and enhance the excitement of learning. All of our work is geared towards helping children and adults deepen their pride in their heritage, and to use that wellspring to spur them forward. To that end, we produce materials that celebrate African Diaspora culture as well as build good character. Our work is about knowing your heritage and being proud; standing firm and strong in where you came from. It is also about developing the inner qualities-honesty, respect, care, love – that enable you to shine in any and every situation you face. We hope that you enjoy our work, and celebrate the energy of Water Daughter! Copyright © 2019 Waterdaughter Publishing, LLC. / All Rights Reserved.